Explore a new world, head down with one breath into the freedive world. "The quietness allows me to have better encounters with shy marine animals. The agility I feel allows me to descend and ascend freely whenever I want. The sense of freedom and happiness I feel can’t be easily described but it’s something close to the path to my inner paradise. The only cost is just not to breath for a while." Freediving is about inner power, discipline and control. If you’ve always wanted to enter the underwater world quietly, on your own terms, staying as long as your breath allows, then freediving will be your thing. Are you a freediver who wants to join for a trip, then we'll take you to the lovely sites Koh Chang has to offer. 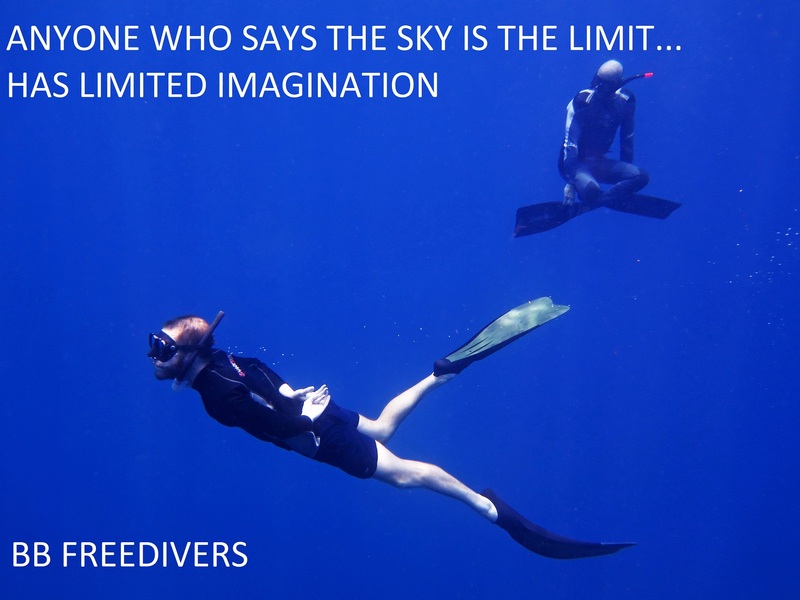 Are you new to the sport, then we offer PADI Freediver courses, anyone who can swim can take the freediver course, your first step toward discovering a new exciting world. One of the things that makes freediving so attractive is the simplicity of the gear. All you need is a mask, snorkel, fins and very light weight belt. Most of our students are surprised by their own performance while freediving. With just 2 days of training you will be ready to discover the ocean with only one breath, for up to 2 minutes to start with. The PADI Freediver course is a two day course where you'll learn all the theory and basic techniques of freediving in confined water, followed by a day in open water and depth training. The PADI Advanced Freediver course is a two day course where you will train to improve your skills and push your limits.